The cause of odors can vary, but it is up to janitors to both identify the source and remove it. This can be especially challenging when the source of the odor is actually the building occupants themselves. Sloppy occupants are the cause of many restroom odors as urine and other bodily wastes often make their way into tiled grout and various restroom crevasses. And unless the situation is identified and extinguished early, odors will result. Floor grout provides the perfect environment for odors to grow, since it is the lowest point in the restroom. These crevasses collect urine puddles that can sit for long periods of time before being cleaned, giving urine time to soak into the grout, attracting bacteria and resulting in foul odors. To fight urine odors, cleaners are advised to use disinfectants on a regular basis and enzyme products on more severe cases of buildup. Also consider using no-touch cleaning systems, versus regular mopping, which can leave dirt and bacteria in difficult-to-reach grout. If urine is a persistent problem, cleaners should consider using restroom mats to catch drips and splashes. 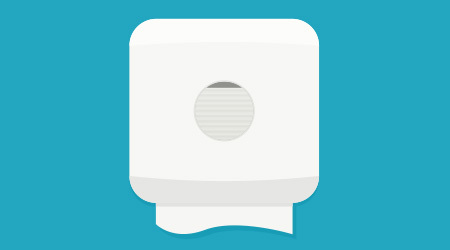 Many of these products are specifically designed to control odors like this.